Over the weekend I mentioned that we went to the Winterthur Museum, located in the Bradywine Valley in Delaware, to see the Downton Abbey Costume Exhibit and we also saw the Yuletide exhibit. 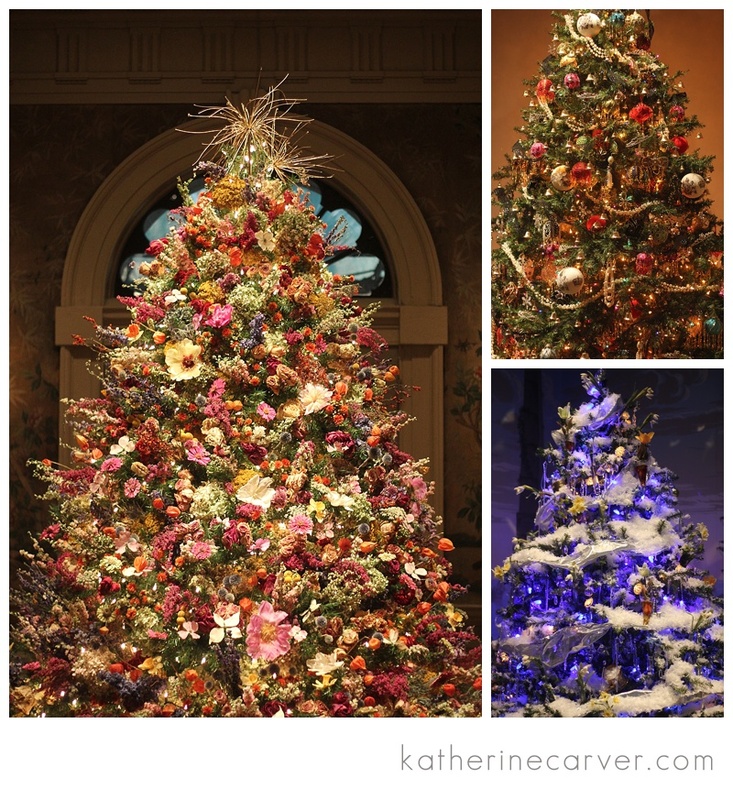 The Christmas trees in the Yuletide exhibit and tour were spectacular! Some of my favorite trees from this exhibit are shown below. Apparently, one man creates all of the Christmas trees for the Yuletide exhibit each year and he begins in January of each year in order to finish all of the Christmas trees! My favorite Yuletide tree is composed of all dried flowers, shown in the image on the left below — very beautiful! These Christmas trees are sure to get you in the Christmas spirit! I agree with you. The wildflower tree is GORGEOUS111 I’ve never seen anything like it.